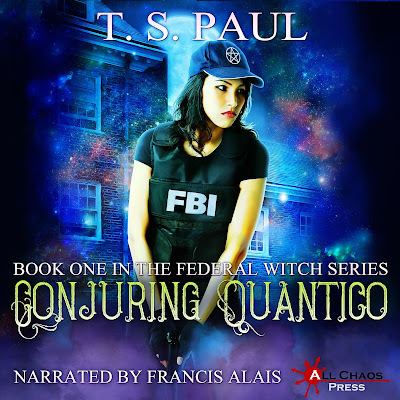 T S Paul: Conjuring Quantico is now Available in Audio! Get your Copy today on Audible! I've been listening to the audiobook and found a couple of issues so far. What is the best way to inform you of issues? Post them here or send to your email address listed in Book 3? Audio 1:48:08 "Haim Levine from Portland, Oregon." Kindle location 902: "Haim Levine from Portland, Maine." Thanks Scott. I'm looking forward to listening to Probi too!